If you like to watch Ultimate Frisbee competitions (and who doesn't?) then you should really check out Discvideos. There is a gallery of Ultimate Frisbee highlights, videos and games. The site is clean and a real pleasure to view, with links to their Twitter and Facebook pages and plenty of Ultimate Frisbee links to make any fan ecstatic. You can even share pages on Facebook. I really enjoyed the Penn State Isis at 2010 Sectionals video. 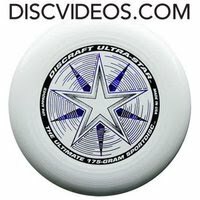 Check them out if you love anything dealing with Ultimate Frisbee!